The Venom monthly title has reverted back to its original numbering, celebrating 150 issues of everyones favorite symbiote. Over the last few years Venom has had many different hosts. This has taken a toll on his orginal host Eddie Brock. Now at long lost Eddie are reunited. Is this a match made in Heaven/Hell or is there trouble in paradise? Not only do we get the duo back together, but the issue comes packed with three seperate stories, one coming from one of our favorite Spider-Man writers, David Micheline. 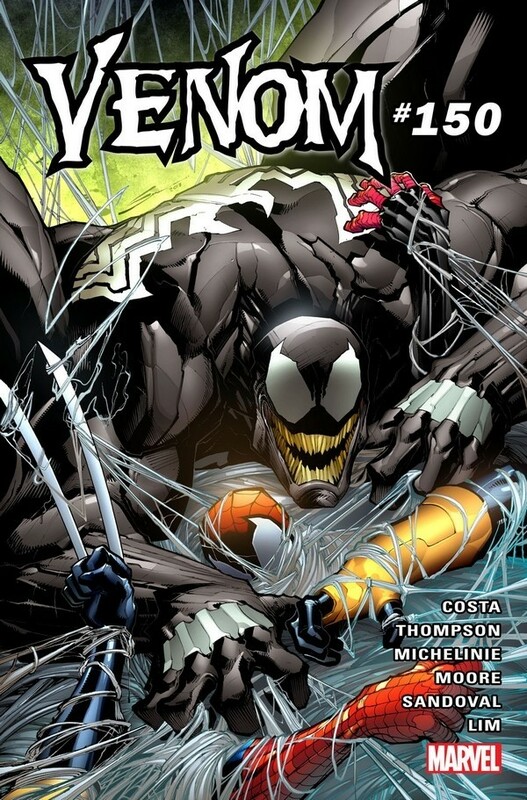 Its a packed issue that definitely delivers on the expectations of the big return of the original Venom and numbering.